Bass, Banjo, Cello, Clarinet, Composition & Songwriting, Drums & Percussion, Flute, Guitar, Mandolin, Music Theory, Piano/Keyboard, Saxophone, Trumpet, Trombone, Tuba, Ukulele, Viola, Violin, Voice, and other instruments upon request. 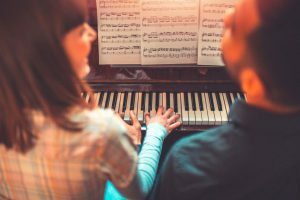 Private Music Lessons allow students to improve their individual technique, musicality, and to pursue their own individual musical interests. Teachers customize an appropriate curriculum for each individual student to help them accomplish their musical goals. Students will be considered for private lessons if they are mature, able to follow directions, and are ready to follow the practicing commitments set by their teacher. One-on-one instruction can positively impact the students proficiency in school and community music programs! Recreational and Traditional Private Music Lessons are offered year round for all instruments and voice. Schedule a FREE Consultation Today! 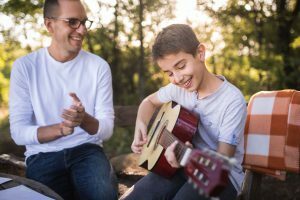 Little School of Music offers morning and daytime private music lessons, semi-private music lessons, and group music classes for Homeschoolers. We are a vendor with: Inspire Charter Schools, iLEAD, SCVi, Gorman Learning Center, Sky Mountain Charter School, Summit Academy, among others. Homeschool funds may be used at Little School of Music according to the approved Homeschool allocation. Recreational and Traditional Private Music Lessons are offered year round for all instruments and voice. Please contact us for more information on Homeschool music classes. Adult Music Classes & Lessons are a great way to get back into playing, learn a second instrument, or get started playing music for the first time. Our low-pressure, positive class environment keeps the learning experience fun for everyone! 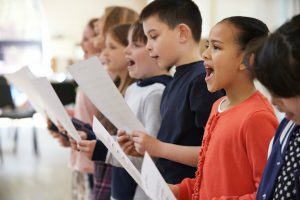 Teachers will introduce the fundamentals of music and the performance techniques needed to play an instrument through familiar repertoire and songs. Recreational and Traditional Private Music Lessons are offered year round for all instruments and voice. Schedule a FREE Consultation Today!